We are blessed to have wonderful family and friends surround us! Eliana was showered with love and presents for her birthday. 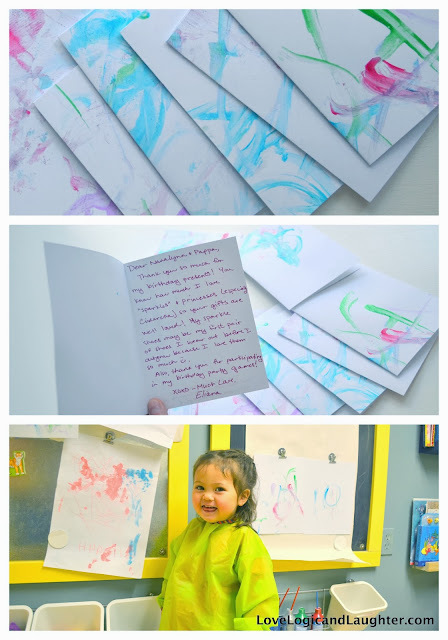 We wanted to show our appreciation, but Eliana isn't old enough to write her own thank you cards yet. So we did the next best thing - she decorated the cards and I wrote them! 4. Re-supply paper: As soon as the sheets were painted I switched them out for two new sheets. I hung the drying sheets on the other vertical magnetic board - it was soon filled! 5. Wait for the artwork to dry overnight: I then put it under a rug with some books on top to make sure they weren't warped. 8. Write "Made With Love" on the back bottom. 10. 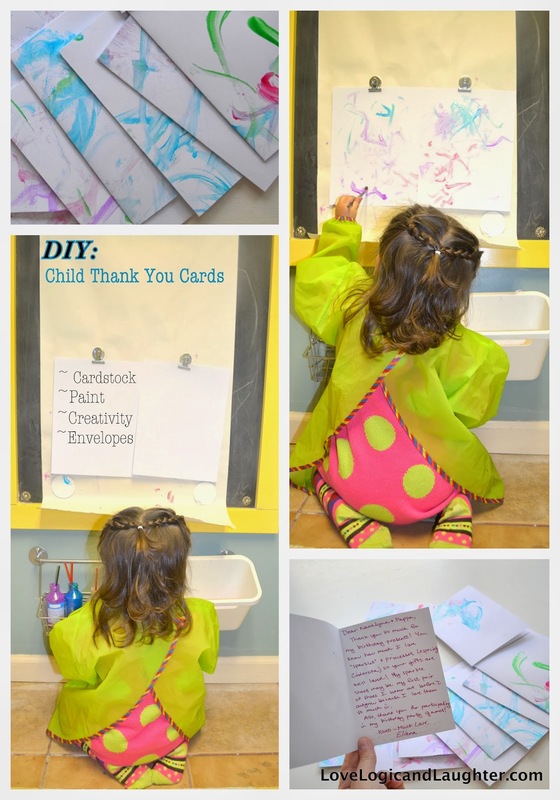 Mail your Thank You Cards!